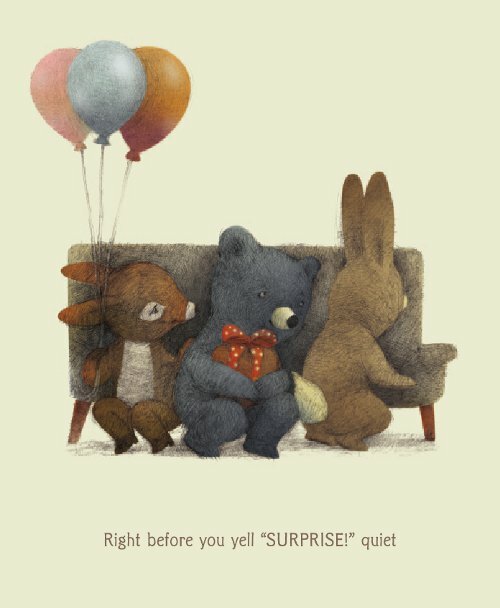 It’s hard to say why a book about the wildly different types of quiet that fill a child’s day is so hysterical to me and why it’s one of my favorite picture books I’ve seen all year. And that’s because it’s really the subtlety in both the writing and illustrations that gets me. And expert, comedically-timed subtlety is hard to describe to another. …that you might have heard me hooting from Tennessee. I’m sorry: That look on his face. Very funny. This is a quiet to which folks—and wood creatures—of all ages can appreciate. And did you really take a look at the spread opening this post? That’s probably my favorite, and it really resonated with my own two wee kids, who have tremendous needle-fears, as …well, all kids do. And all the creatively-placed bandages on the creatures on the right side of the spread? Again, funny stuff. 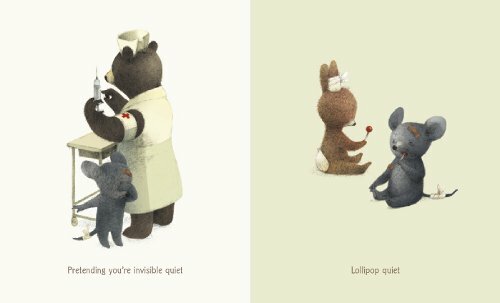 What Underwood has managed to do in this title, which is stuffed with charm and humor and good cheer, is really tap into the emotions of children. There’s some misbehaving, followed by remorse (“Thinking of a good reason you were drawing on the wall quiet”); some awkwardness and humiliation (“Others telling secrets quiet”); some ungainliness (“Jelly side down quiet,” as a distraught rabbit realizes he’s lost his only chance at his piece of toast); some hushed contemplation (“Don’t scare the robin quiet” and “Best friends don’t need to talk quiet”); and much more. I mean, really: The first spread in this post tells you everything you need to know about Underwood’s understanding of children. Don’t you know that lollipop at the doc’s makes it ALL BETTER? And, yes, there’s always a sort of hushed reverence and holiness swirling around the consumption of said lollipop. Especially after one’s skin has so impertinently been punctured with something so sharp. Book’s full dustjacket; Click to enlarge. What You’ll See If You Bother to Lift Up the Dustjacket; Click to enlarge. 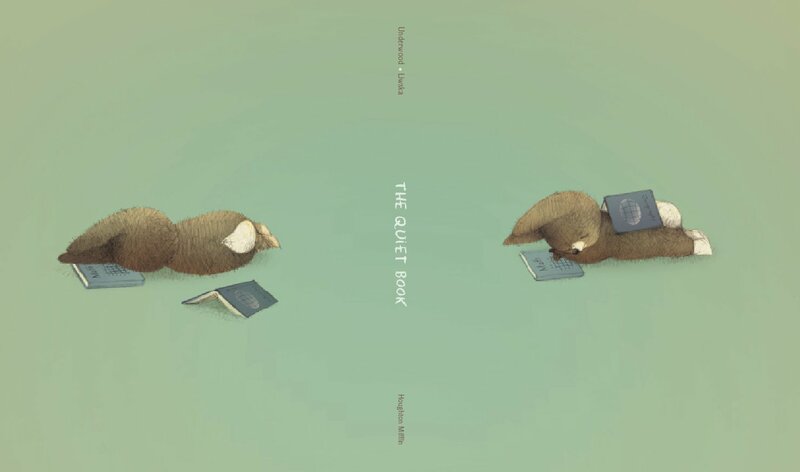 THE QUIET BOOK. Copyright © 2010 by Deborah Underwood. Illustration copyright © 2010 by Renata Liwska. Published by Houghton Mifflin, Boston, Mass. All rights reserved. This book looks like the perfect meld of words and art. Love it! I’m curious — I’ve heard that when you submit a picture book manuscript, you just submit the words, without descriptions of the illustrations. But with Ms. Underwood’s “pretending you’re invisible quiet,” I would think that she would need to say what she had in mind or it would sound like playing hide and seek. Are you allowed to describe your illustrations sometimes? I’d read reviews of this book that intrigued me, and the pictures you show make me see why people are loving this book. I need it! Tabatha, I don’t know how this book was created. 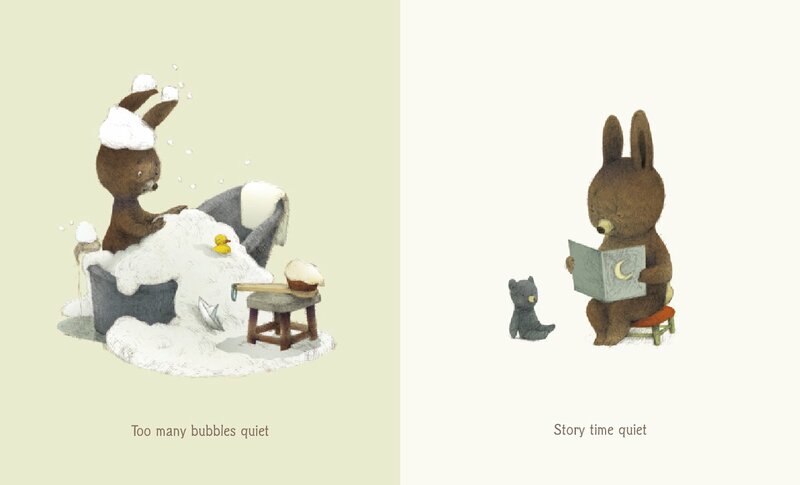 It seems like a collaboration, but then, that’s what great picture books look like even if they weren’t done hand in hand. Some people do write short parenthetical notes to explain, but I think these should be spare. And they probably won’t be as powerful as an editor reading a slight text and seeing jokes and possibilities rise in one of those creative editorial moment. And there has to be lots of room for illustrators to see a short text and come up with their own amazing takes. In other words, it’s a challenge. Being too directive could really limit the joy. 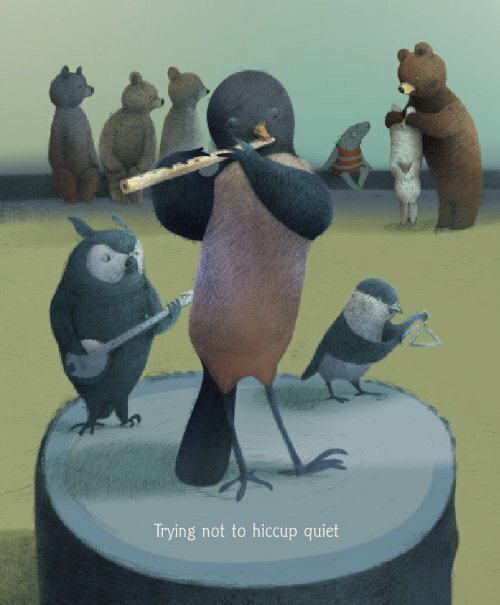 This is one of my favorite picture books of this year as well! Such a gorgeous package~~adorably hilarious! This book looks fantastic! My kids all gathered around to see why I was laughing out loud. Now they think it’s a must-read too. Thanks for sharing–I love this blog! This is really beautiful. I think one of the BEST reactions to a book upon first reading is being totally and pleasantly surprised, and this looks like one of those titles. I’m loving it already, thanks to this post with all your comments and spreads. What a great concept! Oh, I am crazy about this book, too. I love this book but I’m biased as I’m Deborah Underwood’s (author of this book) brother-in-law. I can answer some of the queries. Deborah submitted the book with the text and just a few illustration notes in parenthesis. 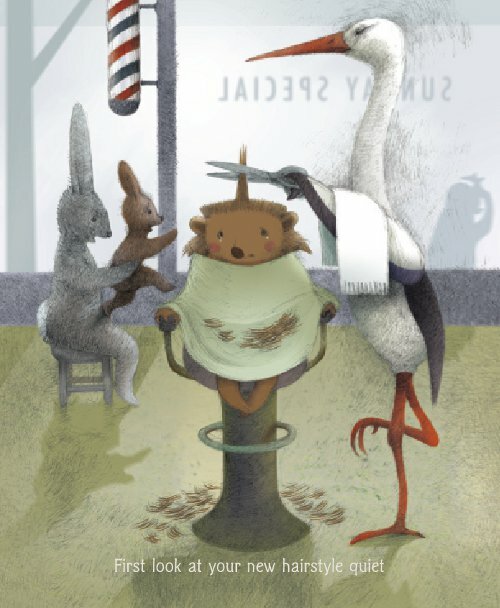 Renata got involved later so came up with ideas for illustrations and obviously collaborated with Deborah to discuss if she had misunderstood anything in Deborah’s mind or equally had come up with something which added to the text in ways Deborah hadn’t thought of. So a true collaboration, but in this case certainly the text came first. What a wonderful book for my new granddaughter, and what a delightful review! I am a new visitor, but I will be back! What a lovely, wonderful book! Thanks so much for featuring it, I must go buy it today! The Quiet Book just hit number 5 in the Children’s Book category of the New York Times bestseller list. Thanks for turning me onto this one, Jules. I’ve been showing it to everyone I know. one word for this book: its STUNNING! 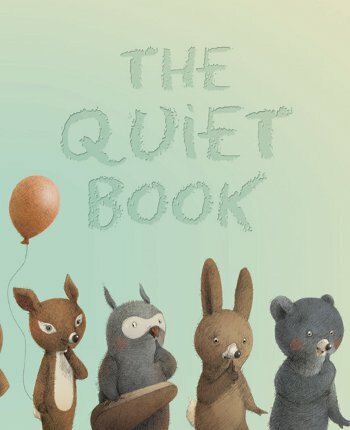 I now have The Quiet Book by Deborah Underwood, illustrated by Renata Liwska as well as A Balloon for Isabel by Deborah Underwood, illustrated by Laura Rankin on my library request list. I look forward to reading B&G, as I like following McGhee’s various works for all ages.